Signs you live in an awesome country? When your postage stamps feature pop stars. 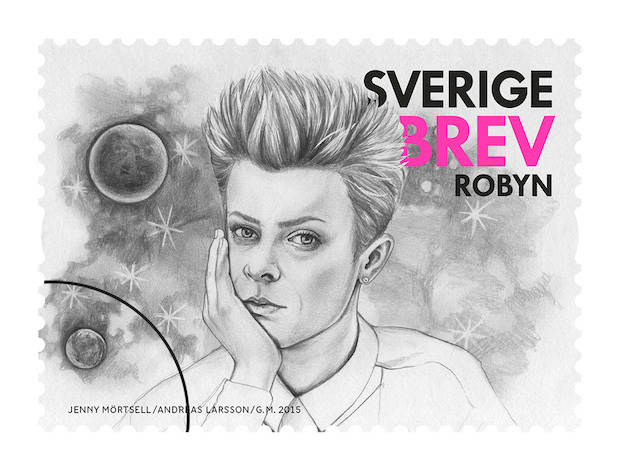 Next year Sweden will be taking the cool factor to the next level when they issue a series of stamps featuring Robyn, First Aid Kit, Avicii, Seinabo Sey, and producer Max Martin. The dramatic black and white pencil sketches were provided by artist Jenny Mörtsell, based on images from Alex Wessley, Andreas Larsson, Kristoffer Berg, Johannes Helje and Mikael Dahl. Kinda makes you want to embrace snail mail, right? I remember buying the clash album and being a stamp collector i’m impressed that the royal mail has done a modern thing like this. It’s so refreshing. Now where can I find stamps like that? All USPS employees can make use of Liteblue portal to get all the benefits.